It’s almost a hundred years now that these people have been staring fixedly at the lens of the long-destroyed camera. And what a hundred years! 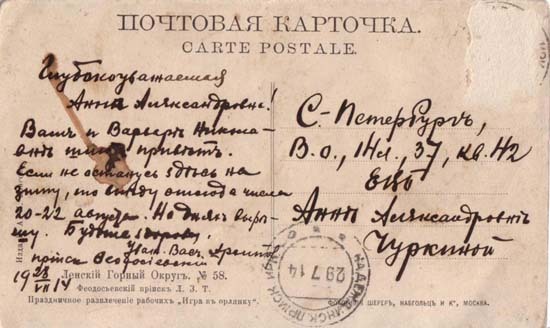 The postcard sent to St. Petersburg has survived several wars and civil wars, a blockade, evacuations, fall of leaders and regimes, its address became invalid and then valid again. And still there are a few years left from the hundred. For the standing people the center of the scene at this moment is the photographer and his camera. But for the photographer – and also for them some minutes earlier and later – the center is the group of two or three men turning away from us and so busily focusing on something on the ground as if it did not interest them that they are just missing the only opportunity in their lives to figure on a picture. 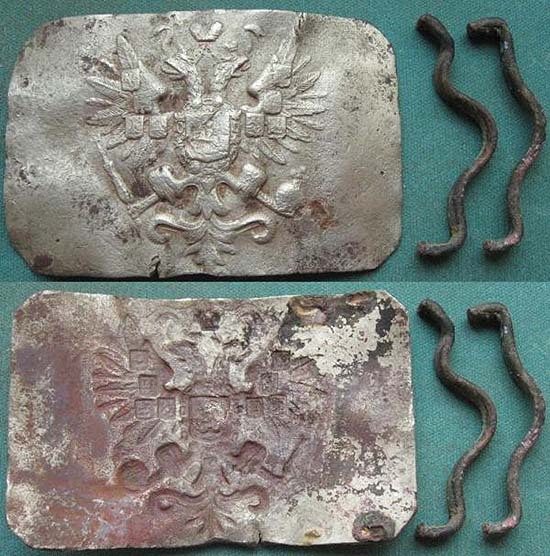 The rare term орлянка comes from орел, “eagle” and refers to small things related to or representing an eagle. Such as the old czarist officer’s belt buckle which was also called like this. Орлянка: простонародная игра, состоящая в том, что бросают монету, и тот, кто угадает, какой стороной (решеткой или орлом) упадет она, выигрывает ее. Orlyanka: game of the common people, consisting in throwing up a money. The player who figures out which side of the coin will be up, the lattice or the eagle, wins the money. 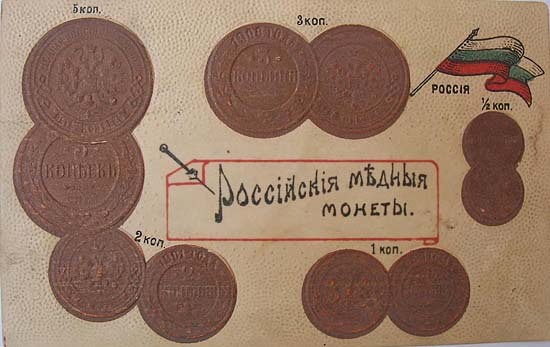 This definition makes it clear that the common people – I like very much the synthetic term простонародный, circa “simplefolkish” – pursued this festive entertainment with the lowest value kopeiki of which the two sides, at least at the time when the term was coined, was in fact decorated with the monogram of the ruler – for the illiterate: a lattice – and the double-headed imperial eagle. For a Hungarian it is so obvious to call this game fej vagy írás, “head or script” that he would not believe if somebody told him that no other people says it exactly like this. The Germans say Kopf oder Zahl, the Spaniards and Italians Cara o cruz and Testa o croce, the Poles – just like Russians, and obviously after the same kopeiki – Orzeł czy reszka, the Irishmen Head or harps, the Greeks Κορώνα η γράμματα (crown or script), and the ancient Latins Navia aut caput (ship or head [of Janus]), depending on the actual designs of their coins. The most absurd one is the English Heads or tails, where “tails” does not refer to the image on the reverse, but as we read it in the 1870 edition of Brewer’s Dictionary of Phrase and Fable, “is the opposite and obvious reverse to heads. The expression ‘can’t make head nor tail of it’ expresses this concept of opposites”. 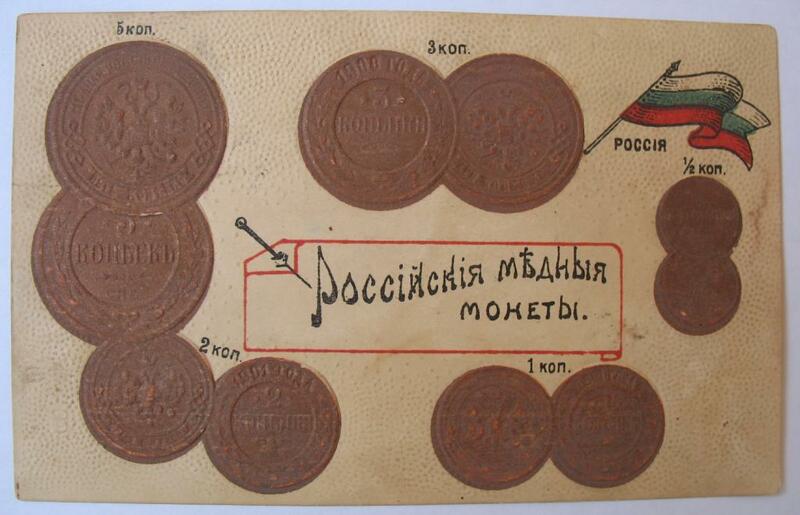 If the Russian simplefolk were wealthy enough, then instead of kopeiki they could have played the game also with poltiniks (half-rubles), and thus call it “head or eagle” or even “one head or double-head”. But then they certainly would have had some different festive entertainment. Perhaps he is already there on the picture. From late 19th century a number of Russian companies of photography found it profitable to publish postcards on Siberian towns and landscapes. 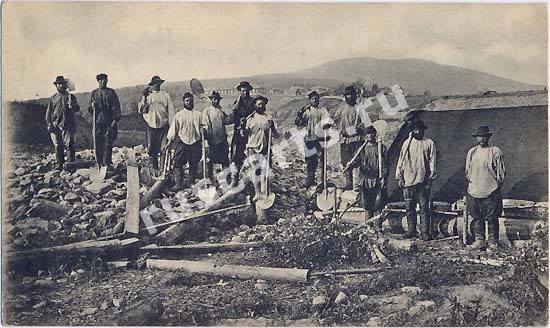 There were surely several photos taken on the territory of the Lensk Mining District as well, if this one is numbered as 58. Eight further ones can be seen on the portal devoted to the vintage postcards of the Russian Empire. 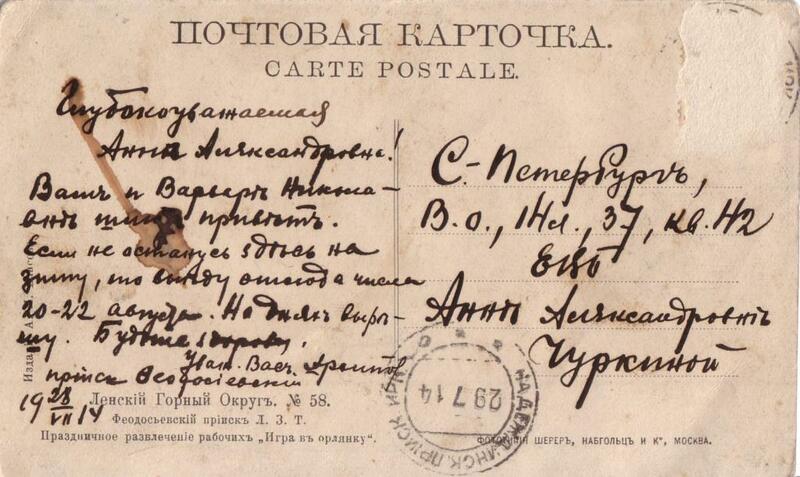 The sender of the postcard informs Anna Alexandrovna that if all goes well, he will arrive between 20 and 22 August to St. Petersburg. 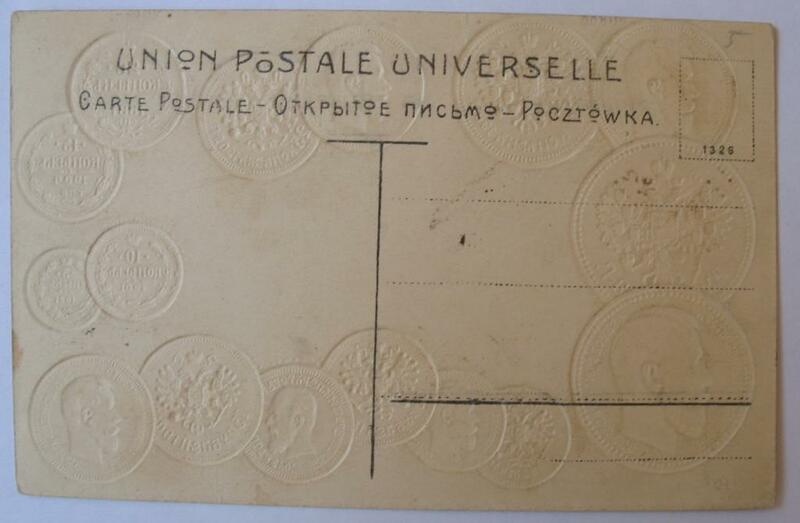 The date of the postcard is 28 July 1914. 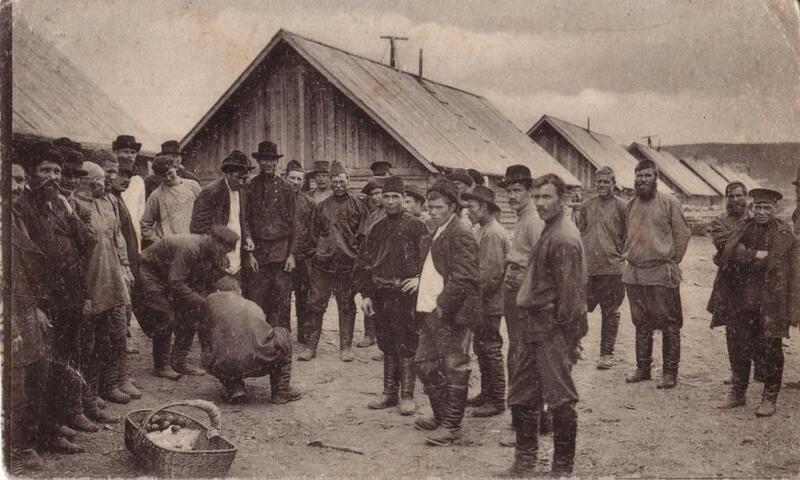 The next day at five o’clock in the morning the general mobilization was ordered in Russia. I will leave your advertisement on, if within a day you tell how to say “heads or tails” in five more unusual languages. Deal? It was always challenging for the Soviet kids since the "orel" had no eagles whatsoever. But what boggles my mind more about those coins is the persistence of 3 and 15 (алтын и пятиалтынный). The origin seem to be the Turkic "golden", but why 3, and what other nations adhered to this system? As in pre-1870 Austro-Hungarian coin system too there was a 3 Kreutzer value (called Kaysergroschen, or in Hungarian “máriás” that is “Mary’s money” after the characteristic reverse design of the Körmöcbánya/Kremnitz mint) as well as a 15 Kreutzer coin (called Fünfzehner) the existence of an алтин of 3 kopeiki and its quintuple in the Russian system seemed natural to me as a young amateur coin collector. It was only much later that I discovered that this was rather an exception. Despite the Turkish term, I rather think that these values come from the medieval German coin system where one Reichsgulden was 60 Kreutzer, and its existing (minted) denominations were 30 (Halbergulden), 20, 15, 6, 5, 4 (the Batz) 3, 2.5 and 2. I do not know why the Reichsgulden was originally divided in 60, but this number has the great advantage of divisibility with 2, 3, 4 and 5, and the coin system seems to have perfectly exploited it to provide the users with the most variable small denominations. теперь я знаю, откуда взялось слово решка. one-way: По крайней мере это мое мнение. Не знаю как это по официальной этимологии. 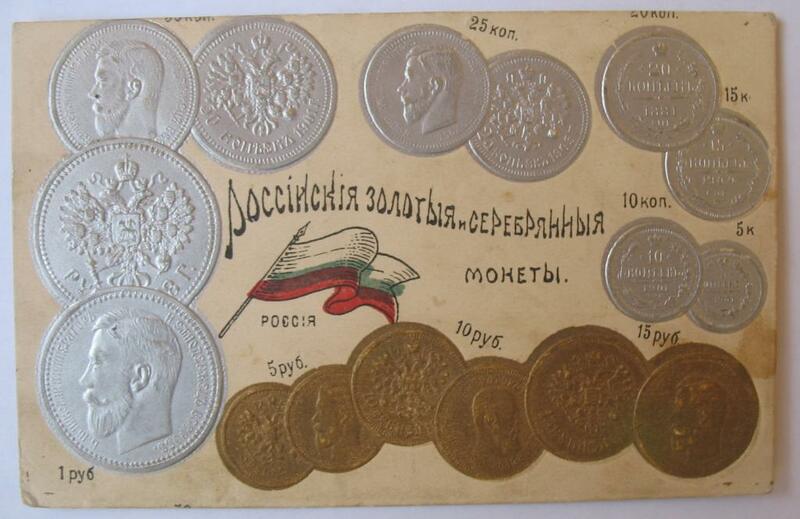 МОСКВА: Furthermore, the Turkish origin would not explain the presence of a 15 in the system (it would be a one-and-a-quarter coin in the system of the Horde which sounds quite absurd). And although I do read Turkish, I have never encountered any old coin denomination altı (which, me being no expert, does not prove anything, it is just a hint). 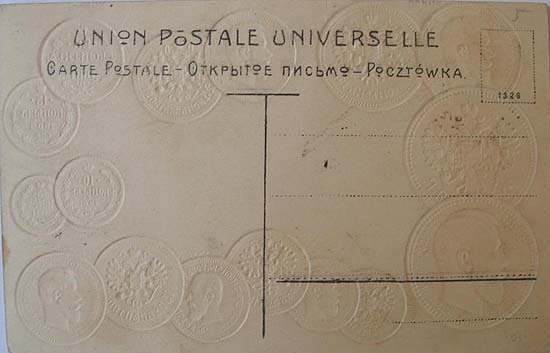 I would rather assume that as Peter I’s first kopeks imitated in their design the German imperial Kreutzer (in fact, their reverse also came with a full width Kreutz), so a number of other common German denominations were also taken over into the Russian system, without canceling its decimal character. I think it's not strange that you wouldn't find any altı coin in Turkish, since in my pinion Ottoman culture and statehood is not very much related to the Tatar Altyn Orda. The discussion reminded me the legend about construction of the Sultan Ahmed Mosque (http://de.wikipedia.org/wiki/Altyn) in Istanbul. Sultan Ahmed I ordered to build altın (golden) minarets, but the architect got it as altı (six). Having six minarets was criticized because at that time the main mosque in Mekka was he only mosque with six minarets. Sultan solved the issue by ordering to build one more minaret in Mekka. A beautiful story with a genial solution, very fitting to a generous Sultan. Hungarian hat, ‘six’ also comes from Turkic altı or its predecessor, and it is also a source of pun, as some nouns, if they are six (“hat …”) are homonymous with some quite different nouns beginning in “hat…”. BTW, how do you say ‘heads or tails’ in Azerbaijani and in Turkish? And in Persian? I would say سر یا دم as a calque after the English, but I’m absolutely not sure it actually sounds like this. Actually, I was going to write in my previous comment that strangely I can't remember how we would say "орел или решка" in Azerbaijani. My Turkish is not perfect and Persian is non-existent, so I can only guess that the situation is the same also there. A cool story about the 7th tower, thanks! I was trying to find any sixpence sorts of coins in the historical Central Asia / Middle East and all in vain. But it seems like the 3-kopek Muscovy altyn actually stands for the well-known tetradrachma aka shekel. In post-Hellenistic Iran, coins were minted in denominations of drachmas, one-and-half drachmas, and four drachmas (and the drachmas themselves were divisible into 6 obols). Minting of the larger denominations stopped well short of the Arab conquests, because of common machinations with adulterated silver alloys, and only dirhams << drachmas remained in circulation. But I could imagine that the use of tetradrachmas as counting units continued. 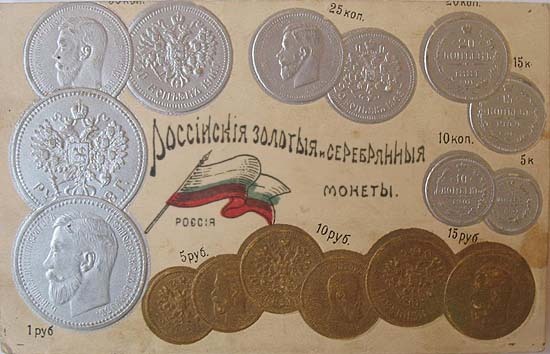 Now, the XIV-XVth centuries Russian denga is often cited as a local equivalent of the Horde's dirham, but actually it was smaller, pegged exactly to 2/3rds of the weight of a dirham (And when the cash-strapped Khan Tokhtamysh reduced the weight of silver dirhams of the Horde, the Russians immediately readjusted the denga to the 2/3rds of the new standard). So alti-tenge => 4 dirhams. Surely rather from Finno-Ugric kutte. Szinnyei's Finnisch-ugrische Sprachwissenschaft has a whole slew of cognates from Finnish kuusi to Khanty xut. 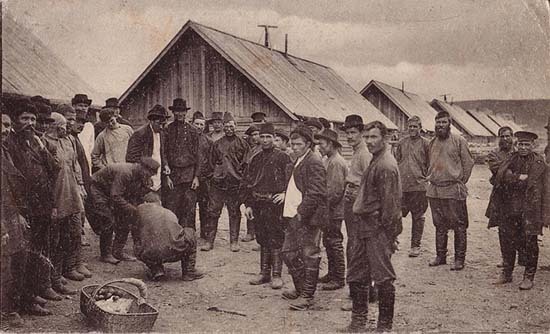 As to the Ленскiй Горный Округъ, while being aware of the name’s ultimately coming from that of the Lena river, I have read it in Russian sources – don’t ask me where – that this district was specifically centered around the town of Lensk. Of course it does not matter from the point of view of the post if actually it was not.